The title of the game gives away emidiately what kind of a game that is. You really are going to be a part of the mysterious story on a dark creepy island. 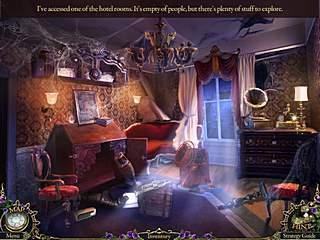 Mystery Trackers: Black Isle is a nicely put together hidden object adventure puzzle game that most of this genre fans will enjoy. The hidden object scenes being one of the three major parts of the game are not extremely cluttered. You are sent to investigate the case of a missing journalist, who began to investigate the mystery behind Black Isle. The island was struck by an earthquake leaving the island deserted. But the whole situation seems strange and controlled by a hooded shadowy person. As you would expect from a story about strange things on an isolated island, the graphics of the game creat a great deal of atmosphere. The music is appropriately creepy and wonderful with sound effects that match the image (lightning, rain). The hidden object scenes being one of the three major parts of the game are not extremely cluttered. All of the items are pretty easy to find. You either go by the list or have to use your inventory. The mini-games require you to solve a story-based puzzle. There are also 50 owls that you need to collect through the game. 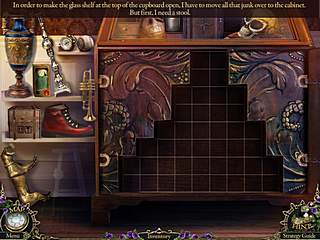 They are everywhere including the hidden object scenes. The hints are very helpful, but if they are not, there is a built-in strategy guide. If you enjoyed any of the previous Mystery Trackers games, you might also really enjoy this one with all its highly-worked through content. This is Mystery Trackers: Black Isle review. Download this game here.